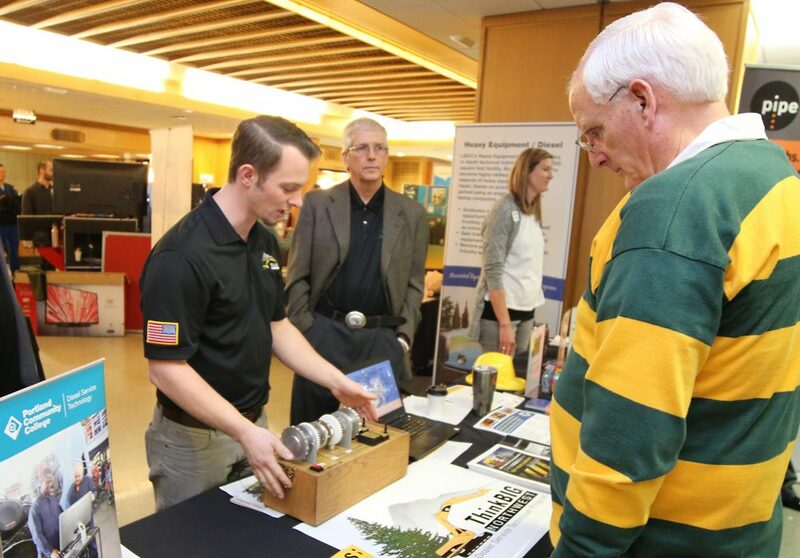 Last week, the Oregon State Legislature got an up close look at the positive impacts of career-technical education (CTE) programs. That’s a great thing because the Community College Support Fund budget for 2019-21 is up for debate among senators and representatives alike during the 2019 session. Right now, the state’s 17 community colleges are asking for $787 million to properly fund student support services and CTE programs to meet the needs of industry. But in the governor’s recommended budget, community colleges will receive only $543 million, causing massive cuts and big tuition hikes. On Tuesday, March 12, the college is hosting its annual event to advocate for full funding of community colleges. As PCC seeks funding from the Oregon Legislature this session, it is especially important for the voices of students and staff to be heard. The “Day at the Capitol” is that chance to tell the “PCC story” to legislators and inspire them to invest in higher education. The PCC community is welcome! That’s why the Feb. 1 CTE Day was so important. 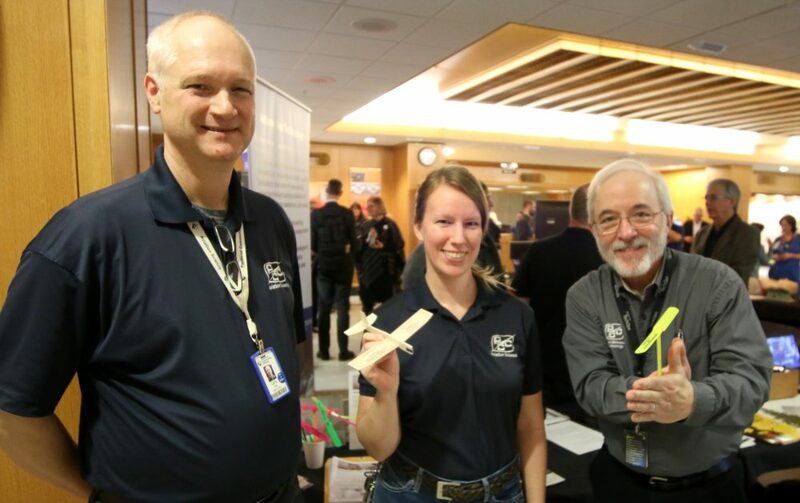 Along with other college students and faculty, PCC’s Aviation Science student Kendra Uhl was in the Capitol Building talking with legislators about how her program has positively impacted her life and advocate for better funding. Her flight instructor, Larry Altree, agreed. 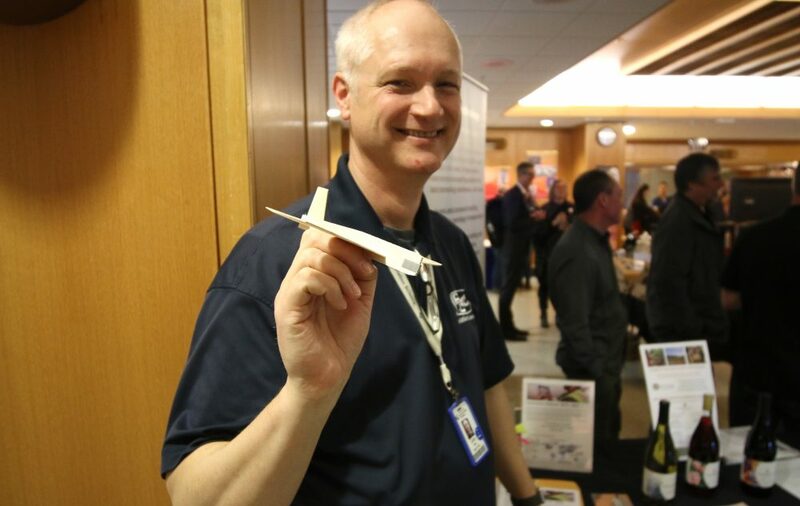 In addition to the college’s Aviation Science and Aviation Maintenance programs, Russ Dunnington and his Diesel Service Technology faculty and partners were there as well. 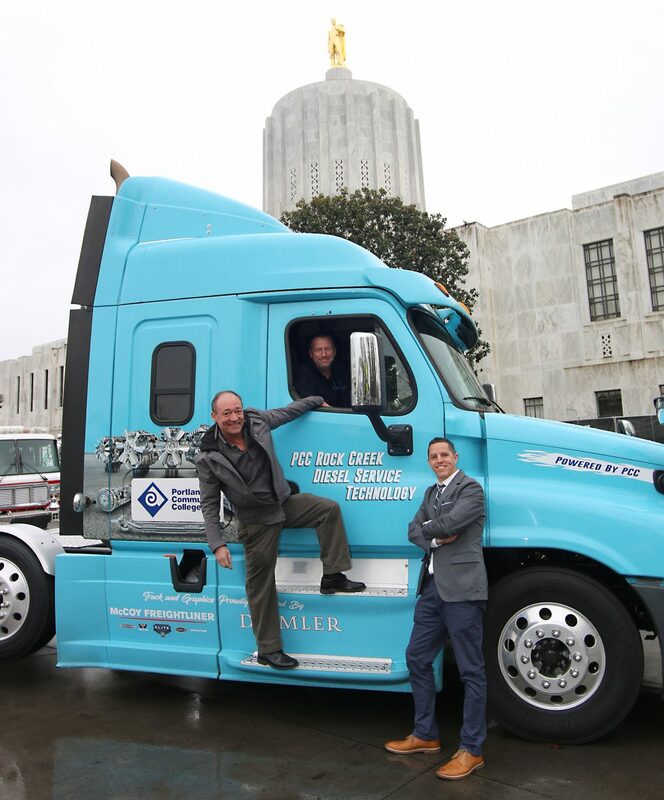 They had a blast during CTE Day, showing off their new custom Freightliner rig that was purchased as part of an innovative partnership with McCoy Freightliner. Dunnington said there’s a shortage of technicians in the industry, making PCC critical in filling the jobs with qualified workers. Lastly, the Auto Collision Repair Program had their virtual reality training computer present for Capitol staff and legislators to try their hand at painting cars. Faculty Tony Yorba was impressed by the interest and said the program creates a fun environment for students.